CASTLEFORD TIGERS will seek “salary cap relief” from the Rugby Football League if scrum-half Luke Gale is ruled out for the entire season, says their director of rugby Jon Wells. Gale has been booked to undergo surgery tomorrow when his team-mates will fly to Lanzarote to begin a week-long training camp ahead of their opening Betfred Super League fixture 22 days later. Castleford Tigers' Luke Gale has ruptured his Achilles tendon (Picture: Danny Lawson/PA Wire). Wells, speaking at Castleford’s pre-season media day at Rogerthorpe Manor Hotel, near Pontefract, confirmed the injury Gale suffered in training last Saturday is a ruptured Achilles tendon. The full extent will be determined by a specialist, but the England playmaker, who was Super League’s Man of Steel in 2017, could be sidelined for up to a year. Castleford have several other specialist half-backs in their squad and Wells indicated they are keen to give some of their existing players an opportunity alongside 2018 Super League young player of the year Jake Trueman, but he conceded a signing will be considered if Gale is unlikely to play this term. “We are confident we can cope with the squad we’ve got and confident we’ve got options should Daryl [Powell, Tigers’ coach] decide to bring in reinforcements,” said Wells. With Tigers close to the salary cap limit they would need special dispensation from the governing body if they did opt to bring in a replacement for Gale. Wells confirmed: “As we stand at the moment, as with all clubs with silverware ambitions, we are there or thereabouts with the cap. “Most clubs will always keep a little something back. “We are an aspirational club who are spending right up to the cap. “We are not on the limit, but we’re not far off. In principle if we were to go out and seek reinforcements in the half-back position that would require salary cap relief. This is not the first time Castleford have had to cope without their most influential player. Gale returned to action at the end of the 2017 season just two weeks after having his appendix removed, but a fractured kneecap kept him on the sidelines for 15 games last year. Jamie Ellis and Paul McShane both had turns in the halves during his absence and Ben Roberts and Cory Aston can also play there. “We don’t have a marquee player, we don’t operate that system,” added Wells. “It doesn’t fit with Daryl’s philosophy. “He likes a big squad to choose from and that has come to our rescue previously, as recently as 2018. “We had several influential players missing for large parts of last year and still made a semi-final. “We will be drawing on those resources again so Jamie Ellis is going to be the next cab off the rank, Benny Roberts is there with a vast amount of half-back experience and Cory Aston played particularly well in the festive fixture, as did young Jake Sweeting. “We’re not short of options in the halves, but we are still working through the options we do have with the coaching staff. 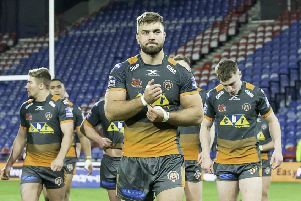 The “freak” injury suffered by Gale, who was already set to miss the opening month of the campaign following knee surgery, has cast a shadow over Castleford’s pre-season and Wells, who is also a pundit for Sky Television’s Super League coverage, admitted it is a blow for the competition as a whole. He said: “I would imagine the best case would be six months, worst case nine to 12 months. “The complicating factor is Luke is in the middle of rehab from microfracture knee surgery. “That separate rehab has to stop now and will be taken up again once the Achilles tendon repair has been completed. It is a key year for us [the competition] with all the changes and we need our best players playing. 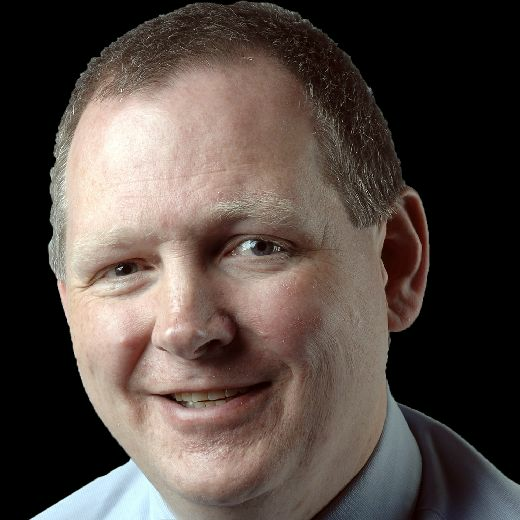 “It goes without saying we have lost one of those for 2019, as it stands at the moment. He is a key and influential member of our squad, a former Man of Steel and an England international. “He will be sorely missed, but our primary thoughts are with the player. “We have to make sure he is in the right head space, but he is a very mature, resilient character. “He is going to have to be; it is a challenge for him.